Santiago Ramón y Cajal (1852-1934) is considered by many to be the originator of the modern concept of the nervous system and its organization. Most of this Spanish researcher’s theories about the nervous system and its function are intact today. Although he wanted to be an artist, his father convinced him to follow in his footsteps as an anatomist—a choice that led to a Nobel Prize in Medicine or Physiology in 1906 and many other recognitions. Ramón y Cajal is considered to be a central figure in the history of neuroscience. Control centers for respiration, digestive reflexes, cardiac reflexes, etc. Recent evidence shows it has a much broader role than previously thought, perhaps also being involved “behind the scenes” in many of the cerebrum’s more complex functions. 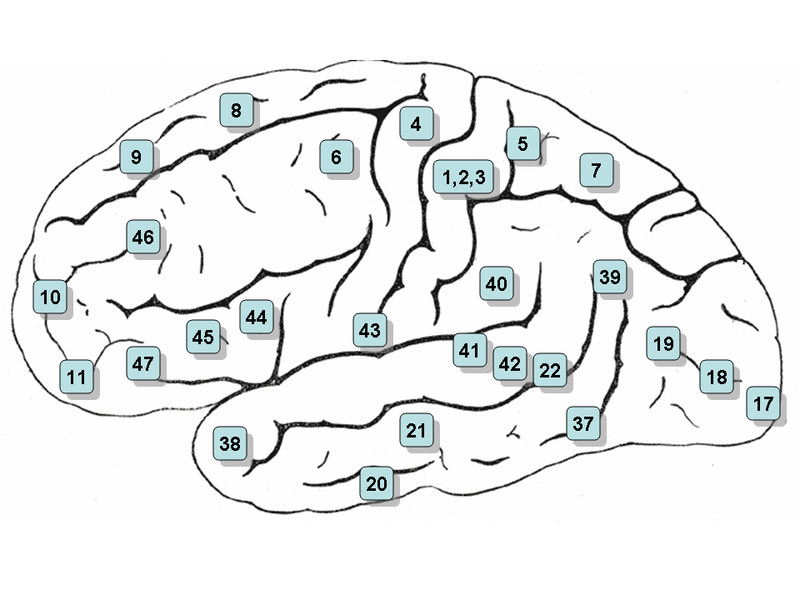 Brodmann areas (BAs) are structural regions of the cerebral cortex. First identified by Korbinian Brodmann, they are based on the organization of neurons in each regon fo the cortex. These Brodmann areas make up the functional areas outlined on maps in your textbook. This is a one-second interval . . . what category does it belong to? Are the waves chaotic or periodic? PET scan showing the more active areas in red and the least active areas in blue. This image shows a horizontal section of the cerebrum. 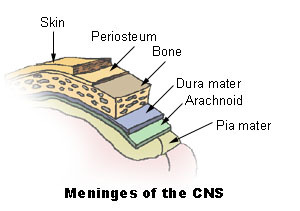 Mechanoreceptors — sensitive to mechanical stimuli such as pressure, vibration, stretch, tilt, etc. Senses . . . they’re all in your head!